Everything is perfect for you special day. 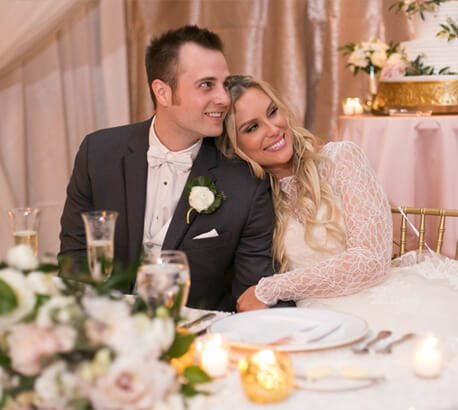 Prepare for your wedding confidently with the knowledge that our professional wedding planner and bridal assistant will stay with you throughout the day. We will pay attention to all the details, so you can relax and enjoy your wedding day. 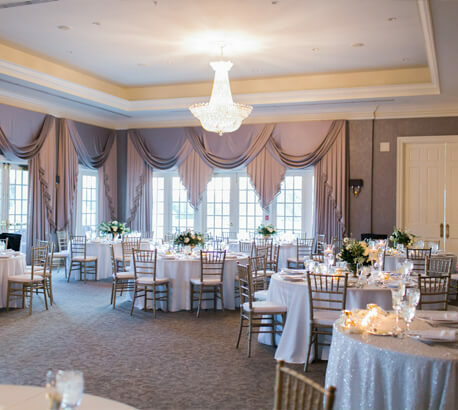 Our clubhouse accommodates the bride before the wedding, providing a tranquil space to get ready for the ceremony. The spa can also provide a custom package for the bride and the wedding party to suit their needs. The groom and his party have the option of enjoying a round of golf before getting ready in a private clubhouse space. If desired, a delicious lunch option is available for both the couple and the wedding party. 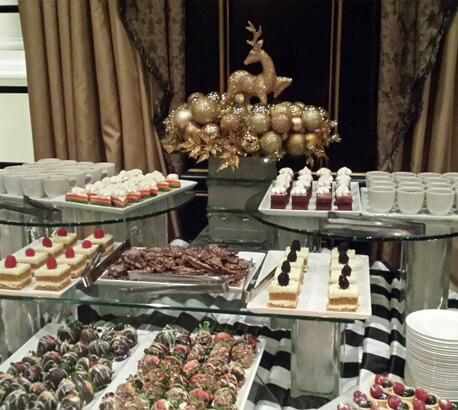 Our Director of Events can assist you with planning any type of venue event, including anniversary parties, office meetings, fundraisers, ladies luncheons, high school reunions, showers, rehearsal dinners, family reunions and much more! 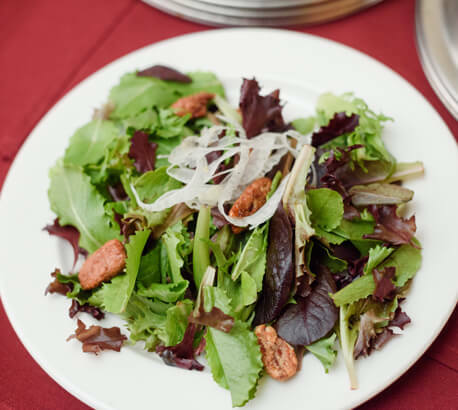 In addition to our fabulous wedding packages, our award winning Chef can also create custom dishes to your taste palate to design the perfect wedding cuisine. We can accommodate most dietary restrictions. Once you decide on Golden Ocala, a menu tasting is performed. We offer professionally designed, fully furnished private villas on the property to accommodate you and your out-of-town guests. Take advantage of our expertise and enjoy our extraordinary surroundings. 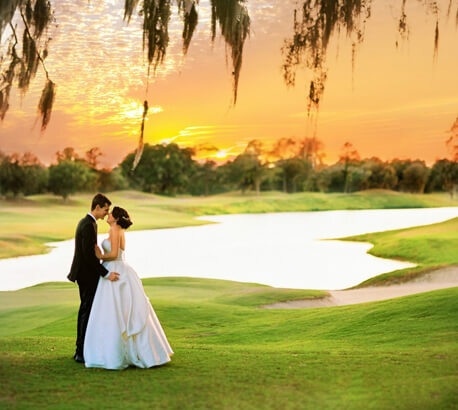 At Golden Ocala Golf & Equestrian Club there are many options to create a beautiful wedding in an elegant wedding venue setting! Select from our Platinum, Gold or Silver All-Inclusive Wedding Packages for a spectacular reception to celebrate the special day. All packages include the ceremony (outdoor or indoor) wedding venue and wedding rehearsal coordination. 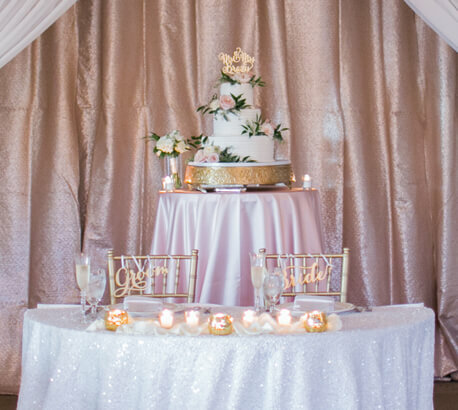 By booking the entire wedding at Golden Ocala, many additional facility fees are waived, including rehearsal dinners, bridal showers, engagement photo shoots and other gatherings. 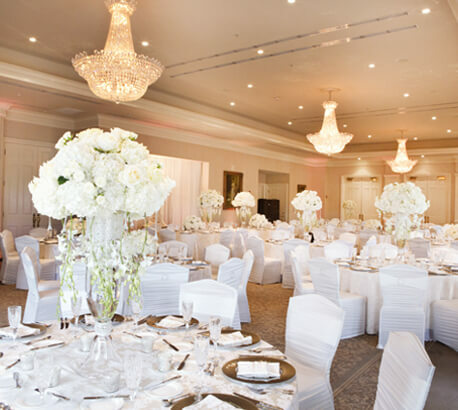 Our experienced event planning staff is here to assist you with all of your needs. 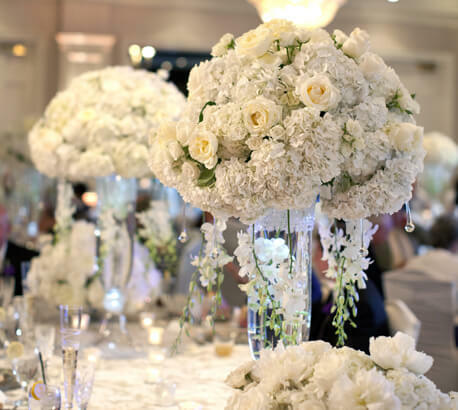 Whether it is flowers, custom linens, dining, photography, music or more, we are ready to assist you. 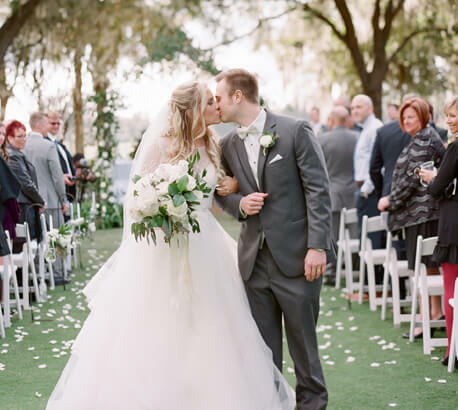 Our Golden Ocala Wedding Professionals will help you plan your special day, provide a preferred vendor list and assist you with your selections. 8300 NW 31st Lane Rd.